(we are still waiting on the last one). We are New Zealand's only dedicated animal disaster management charity. We act to make sure no animal is left behind in times of emergency or disaster. Formed in 2018, we hope to provide a national structure for volunteers who want to help animals impacted by disaster. We do this through assisting the evacuation of animals during emergencies, and providing initial emergency sheltering until traditional animal welfare charities can accommodate them. With no government funding, we need your help to do the right thing for the animals . 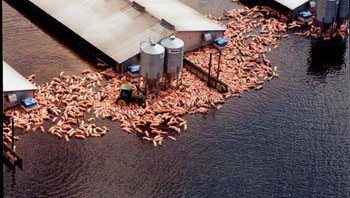 The National Disaster Resilience Strategy is out for public consultation, and it fails to commit to reforming our inadequate animal disaster laws and system. Have your say so it can be changed, if you want to help save animals in future disasters. It costs you nothing apart from a few minutes of your time. 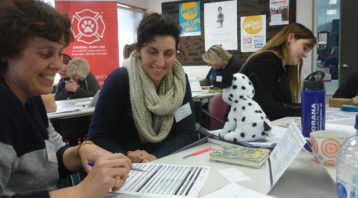 Animal Evac New Zealand’s 2019 Foundation Course series has now been scheduled and available for bookings on Eventbrite. We now offer “early bird” rates so its important that you get in quickly to get a good deal. We are pleased to announce that our 9 hour Animal Evac NZ Foundation Course has been accredited for Continuing Professional Development (CPD) credit by the New Zealand Veterinary Nursing Association. 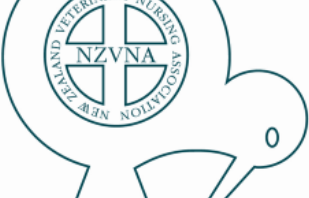 The course certificates will now feature the NZVNA logo and note the CPD points allocated. 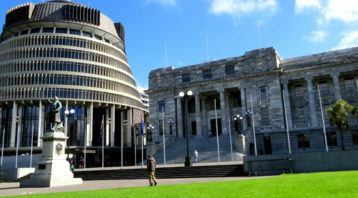 Animal Evac NZ’s voice has been heard as a result of the Minister’s Hui, and animal disaster management is now on the future framework for animal welfare. 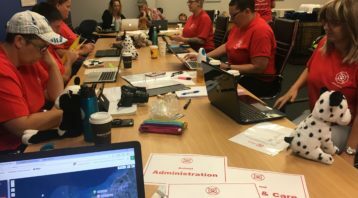 Over 200 volunteers have registered to be part of Animal Evac NZ, with many saying they want to be part of an impartial animal disaster management charity which is well over due. 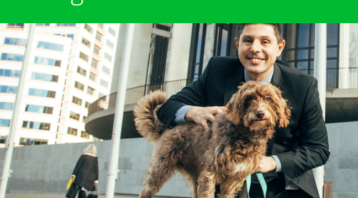 Want to join Animal Evac NZ? The first step is completing our foundation course and dates/venues for these are now up on Eventbrite. 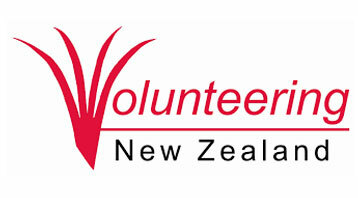 Animal Evac New Zealand joins as a member of Volunteering NZ to ensure we provide a great volunteer experience for our responders. 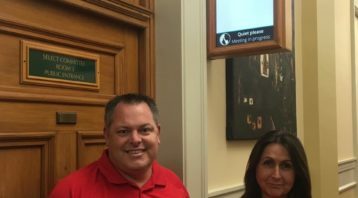 Within just three weeks for being formed, Animal Evac NZ is the voice government is listening to in order to improve animal disaster management arrangements. 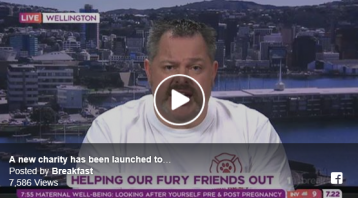 Animal Evac NZ co-founder Steve Glassey takes to morning TV today, appearing on TVNZ’s Breakfast show to talk about why we need this new charity. 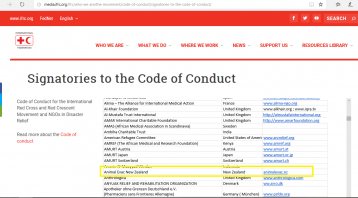 Animal Evac New Zealand became the first New Zealand based animal charity to become a signatory to the Code of Conduct for the International Red Cross and Red Crescent Movement and NGOs in Disaster Relief. Is there a fee for the foundation course? Yes. As a new charity with no government funding, we rely on a course fee from our foundation course to ensure we are sustainable. This is similar to other animal related groups such as Project Jonah. We are currently lobbying government to have the zero fee training scheme for civil defence volunteers extended to cover animal disaster responders. This was raised over three years ago and we along with others, continue to advocate for training funding parity. We are hopeful that this will be resolved allowing the foundation and other courses we provide to be free. Within the foundation course fee is an annual supporters fee, which like other overseas animal disaster charities (i.e. 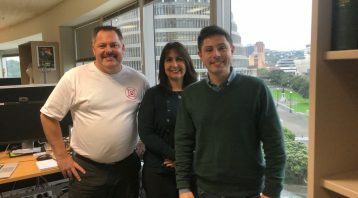 Code 3 Associates in the USA), provides forecastable revenue to ensure we can cover the overheads of operating a charity such as insurance, database subscriptions, accounting and the like. One day, we hope that our volunteers need only give their time; however in the meantime we want to ensure we can operate in a fiscally responsible manner. We suggest those who have limited financial means to look at some of the free online courses that will help their learning more about animal disaster management while we work on this funding issue. How do I donate or sponsor Animal Evac NZ? It is easy! You can simply go to our Give-a-Little page and donate online. 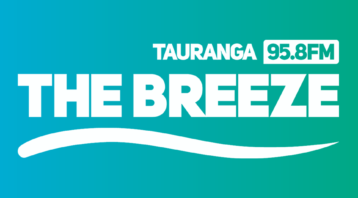 Alternatively, you can also make a donation directly by going into any BNZ bank and asking for your donation to be deposited into our account. If you want a receipt, please ensure your name and phone number are added to the transaction reference. You can also send us a cheque made out to “Animal Evac New Zealand Trust”, and post to PO Box 216, Wellington 6011. Please include your return address or email so we can send you a receipt. If you are interested about sponsorship visit our sponsorship page. We also have a Wish List that you may want to help us with. 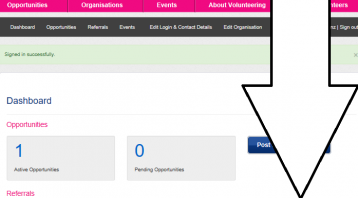 Are you are a donee organisation or registered charity? Yes, we are a registered charity. Our registration number is CC55754. We are also charitable trust pursuant to the Charitable Trusts Act 1957. How do I join? What skills are you looking for? Check out our Join page for more details. Yes, we still want an astronaut… only because it is one of the few skill sets that we don’t have. Why do we need Animal Evac NZ? 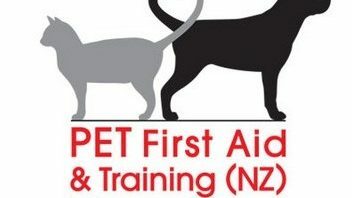 Animal Evac NZ was co-founded by former Wellington SPCA CEO Steve Glassey, who also founded the SPCA’s National Rescue Unit (formerly Animal Rescue Unit) in 1995; and also went on to train the inaugural Massey University Veterinary Emergency Response Team. 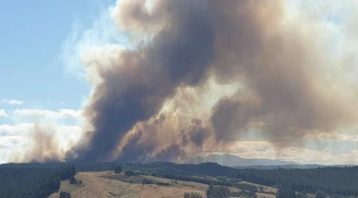 Animal Evac NZ is not intended to be a technical animal rescue team, leaving such high risk operations to these teams and organisations like Fire & Emergency New Zealand. 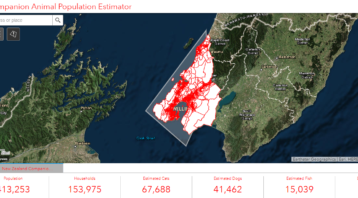 Animal Evac New Zealand is needed to help out with large scale evacuations and associated emergency sheltering of animals as there is little to no capacity in New Zealand. 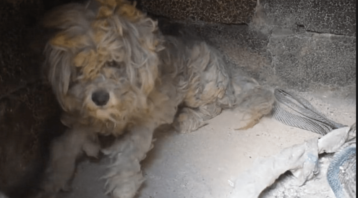 Though the Ministry for Primary Industries is mandated to coordinate animal emergency welfare and rescue, no agency is mandated actually to carry out the rescues. 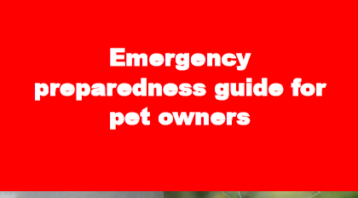 The responsibility for animal emergency accommodation rests with the local authority, but in most cases this is under-resourced, so Animal Evac NZ can support authorities meet their obligations. As we are not an animal law enforcement or animal rights organisation, we are a neutral charity that does not have any conflict working with farmers, laboratories, and animal owners to do the right thing on the day to help, without judgement. We are the “Red Cross” for animals affected by disaster. As we dont operate any day to day commercial activities such as veterinary clinics, doggy day care, animal boarding or grooming, we provide a space for all animal welfarists to participate, without the conflict of working with a commercial competitor. 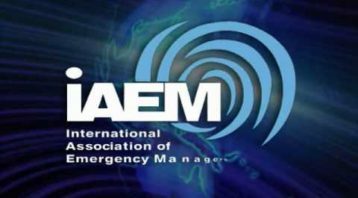 Animal emergency management is not a competition and is not the monopoly of any one organisation, it is a community wide responsibility. 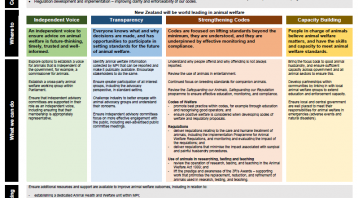 Even major animal welfare charities put frequent and repeated claims that “they are full and cannot accept any more animals”. Animal Evac NZ is always empty, ready to respond in an emergency. The reality is that local animal shelters are likely to be impacted and under further burden, so it is the interests of animal welfare to create more community based capacity to respond. Finally, research has shown time and time again that even in resource rich states such as Texas, who had access to multiple humane societies and major military resources such as the national guard during events such as Hurricane Katrina and Harvey, there were still not enough people to help with such disasters. We need more people stepping up and being trained, not less. We are active in working collaboratively with leading no kill animal shelters such as HUHA and others; we see ourselves as the bridging the gap between evacuation and traditional animal sheltering capacities. I love animals but dont have any rescue or veterinary experience, can I still help? Yes! As long as you are over 16 years of age (or between 14 and 16 years with a parent or guardian also volunteering), there is a role for you to help us. We had one lady comment saying she wanted to help, but felt she could be too old to lift animals. We said, we have lots of roles so that people with a diversity of skills, experiences and abilities can help. Even if its just helping direct pet owners where to go at evacuation centres or giving advice, we are sure we can find a role for anyone who wants to help. 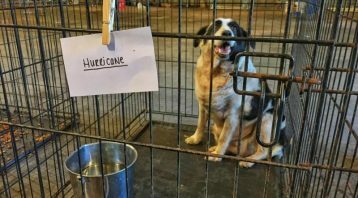 Naturally, there will be roles that have higher risks associated with them such as handling unfamiliar and scared animals, to working in disaster damaged areas. These roles do require certain skills and abilities to ensure the safety of volunteers. We also need people to help us outside of emergency events, with administration from fundraising to public education initiatives. So once you have done the foundation course, tell us what skills you have and where you think you can help.